Everyone loves a box with a gift inside, but a moving box can strike panic. You can relax because Metro Self Storage brings you more than 40 years of self storage experience. 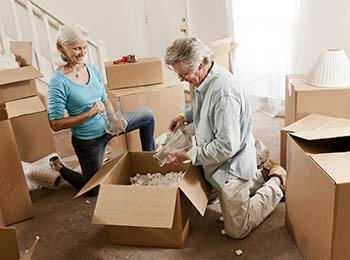 So whether you are surrounded by moving boxes as you get ready to move, or you simply want to declutter before putting your home on the market, Metro Self Storage in Metairie is here to help. We offer a wide selection of storage units for rent in Metairie that range in size from small 5X5 to as large as 10X30 commercial storage units. 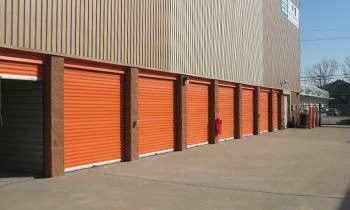 With several sizes in between, there is sure to be a storage unit that perfectly matches your belongings. Our month-to-month leasing gives you the option to store for any length of time you decide, and online account management makes overseeing your storage simple. Our easy to reach South Shore location is ideal for Southshore, Metairie, New Orleans, Gretna, Kenner, and Lakeview residents and businesses. Has your small business outgrown its current space? With sizes as large as 300 square feet, self storage is a great way to house extra inventory and equipment without the high cost of traditional warehouse space. Located on Hessmer Avenue, Metro Self Storage offers commercial storage units in a variety of sizes to accommodate a wide range of commercial inventory and equipment storage needs. Our extra tall ceilings and online promotional storage rates are hard to beat—reserve your unit online today with our no-risk storage hold. Need a little flexibility to accommodate your busy schedule? We offer extended access hours every day of the year and are pleased to offer 24-hour access to our business customers. Metro provides a storage solution you can count on from the first day we meet you and every day after that. We understand that storage is not a one-size-fits-all solution, and pride ourselves on creating an inviting and individualized storage experience for our customers. We invite you to call or stop by at your convenience during our office hours. We hope to meet you soon.